I am so excited (and nervous) to share this post with you. 6 months ago, Lego - actual Lego - came to my house, here in Jersey and interviewed me for a fantastic campaign they are running with Unicef, called The Tower of Imagination. (You will se a link to my interview below) This campaign will not only promote creative play worldwide, but it will also see Lego donate thousands and thousands of Duplo blocks to children in South Africa to promote play based learning! I have included bits of their press release below, so you can find out all about this brilliant campaign and how you can join in (at no cost) and support their work in South Africa. 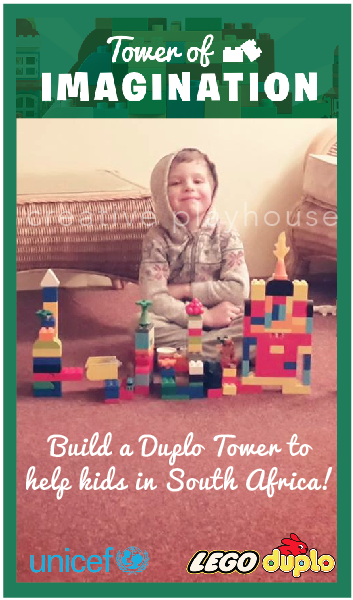 All you need to do is encourage your child to build a creative and imaginative tower out of whatever Duplo you may have! It can be anything! Take a snap on as plain a background as you have and upload it here. The more towers that are uploaded the bigger the final tower will be, and the more blocks will be donated! I am so passionate about creative play. It allows for so much natural development in all areas of early learning; it gives children the time, space and resources to find their interests, develop skills and enjoy their early years freely. It can also provide a relaxed space for you to connect with your children through participation and observation, strengthening your bond and allowing you to develop an acute understanding of your child as they grow. 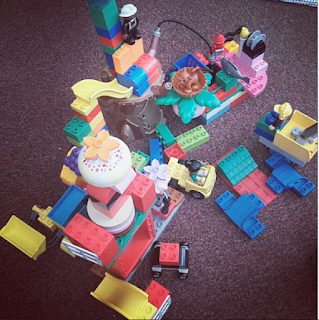 Open ended toys like Lego and Duplo are fantastic. 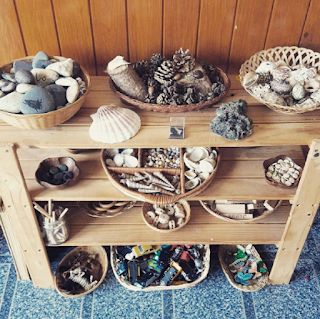 We have a wide range of these type of toys on offer all the time, and its great to see the different things that are created, especially when the different materials are used together. Its also wonderful to see different ages and abilities playing alongside each other, as these materials have no specification for age, ability, gender or anything else! 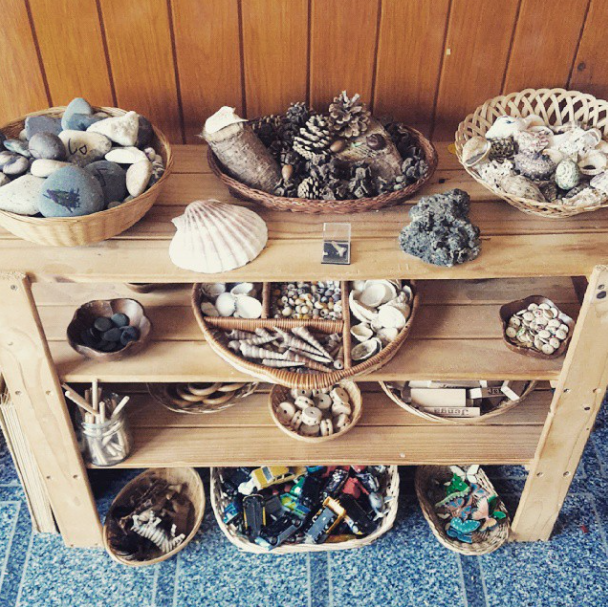 Alongside these toys we also have a lot of natural materials on offer, and I am a huge believer in outdoor and nature play! 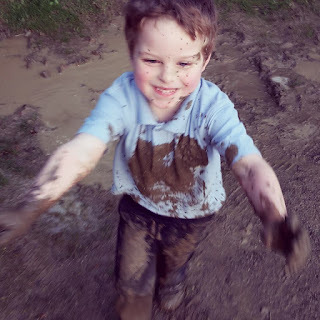 It allows children so much authentic play and learning and gives them a freedom to thrive and build so many life skills! I talked about this a little in my interview with Lego. You can see the short film here - I must say I find it very daunting being on screen, I look terribly pale and I dont even recognise myself! Must be the nerves! But I would love you to check it out none the less! 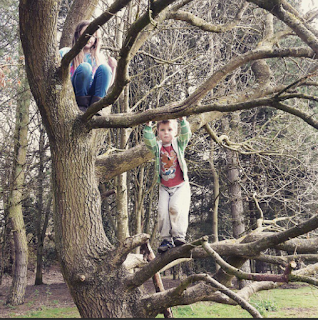 You can see where I live, and I talk a little about authentic play and learning and how to set up Creative Play. Lots of my pictures in this post are also featured in the video. They are from my Instagram, which you can follow for regular snapshots of our outdoor play and exploration and creative play at home. Follow along here. For the full release go here. From 1 June 2015, children worldwide can help provide South African children with play materials by building a LEGO® DUPLO® tower together. Lego will donate duplo bricks to pre-schools and schools in South Africa to enhance the opportunities of learning through play for 2,400 children. Today the LEGO Group, LEGO Foundation and UNICEF launched a campaign to inspire children to imagine the most creative tower they can build with LEGO® DUPLO® bricks. Take a picture of it and submit it to the website here. The LEGO Group will build one big online tower from all the participants’ contributions. The more participants who join the tower building challenge, the more LEGO® DUPLO® bricks are donated to children in South Africa, where up to 150 schools and day-care centres are expected to benefit from this partnership initiative to provide high quality play materials. “I hope children all over the world will have fun building a tower and find it encouraging to do something good at the same time for the children in these South African schools and day-care centres”, says Robbert Stecher, the LEGO Group. The LEGO Group, LEGO Foundation and UNICEF have partnerships that aim to create awareness of children’s rights and the importance of learning through play and access to play. As part of the partnerships, this campaign encourages children to be imaginative, creative and engaged in donating thousands of LEGO® DUPLO® bricks to support play and early childhood development opportunities to as many as 2,400 children in South Africa. The LEGO Foundation is already active with other projects in South Africa and around the world to make learning through play a reality for millions of children. Read more! 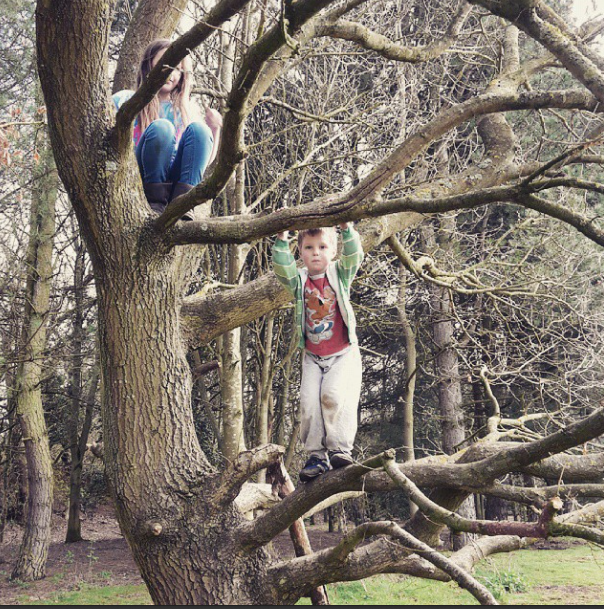 Play is vital for children and their future development in life. 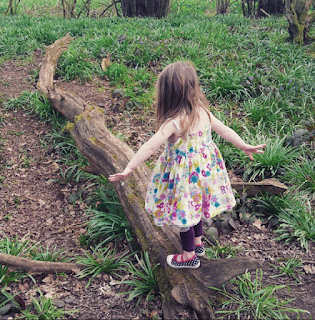 Play can help children develop physical, intellectual and social skills, and, not least, creativity. When you nurture creativity, children are empowered to become lifelong, curious learners. “We want to inspire children around the world and bring them together to create one big online tower. With just a few LEGO® DUPLO® bricks and a few clicks, children’s imagination and creativity can help hundreds of children, parents and teachers in South Africa”, says Robbert Stecher, Senior Vice President of Corporate Affairs, the LEGO Group. 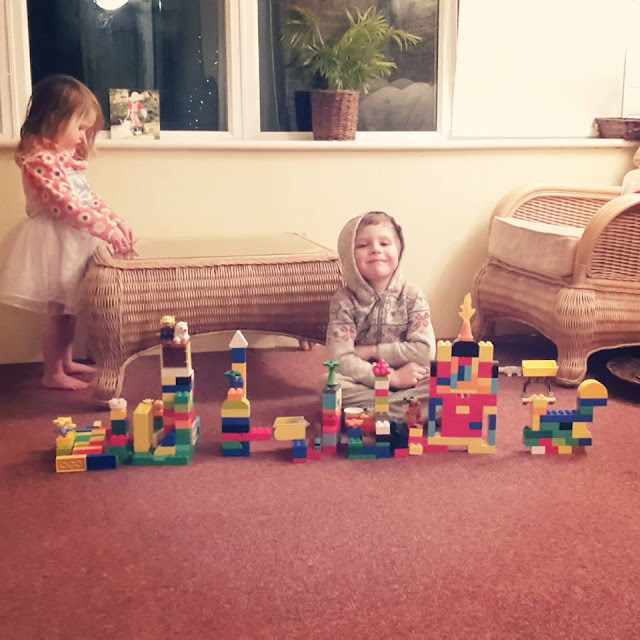 He continues, “We also hope that this building challenge will help create awareness of the importance of learning through play and access to play." - Within 24 hours, your image will be formatted and you will get a direct link to your contribution to the big online tower. UNICEF South Africa collaborates with the Government of South Africa and other partners in the implementation of accessible, quality and well-resourced early childhood development programmes. With this objective, UNICEF and the Department of Basic Education are starting the implementation of a new National Curriculum Framework for children from birth to four years, focusing on an initial 150 Early Childhood Development programmes. The programmes include play-based early learning and development activities, involving structured play activities, as well as free play activities. The programmes take place in small groups of 15 to 20 children (three to four-year olds). Parents are given feedback on their children’s progress and are required to continue with the learning at home. Together with local play materials, LEGO® DUPLO® bricks will contribute to and enhance the opportunities of learning through play for 2,400 children in the 150 Early Childhood Development programmes. The programmes are connected to UNICEF and the LEGO Foundation partnership that aim to enhance learning through play in the child’s early years in South Africa.